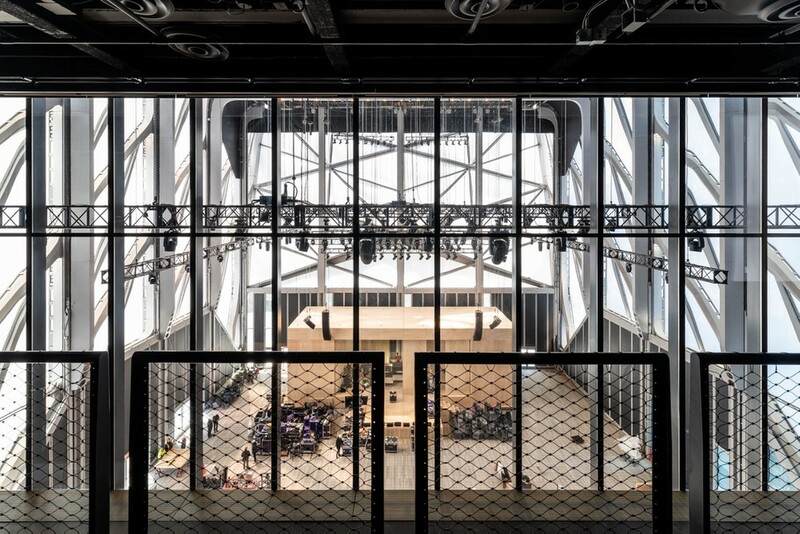 The Shed in New York opened on 5 April 2019. An arts centre dedicated to commissioning, producing and presenting all types of performing arts, visual arts, and popular culture. The Shed building is designed to physically transform to support artists’ most ambitious ideas. The building has eight levels, which include two levels of gallery space, a versatile theatre, a rehearsal space, a creative lab, and a skylit event space; a telescoping outer shell can deploy from its position over the base building and glide along rails onto an adjoining plaza to double the building’s footprint for large scale performances, installations and events. When deployed, the Shed’s shell creates a 1600-square-meter light, sound and temperature controlled hall that can serve an infinite variety of uses. 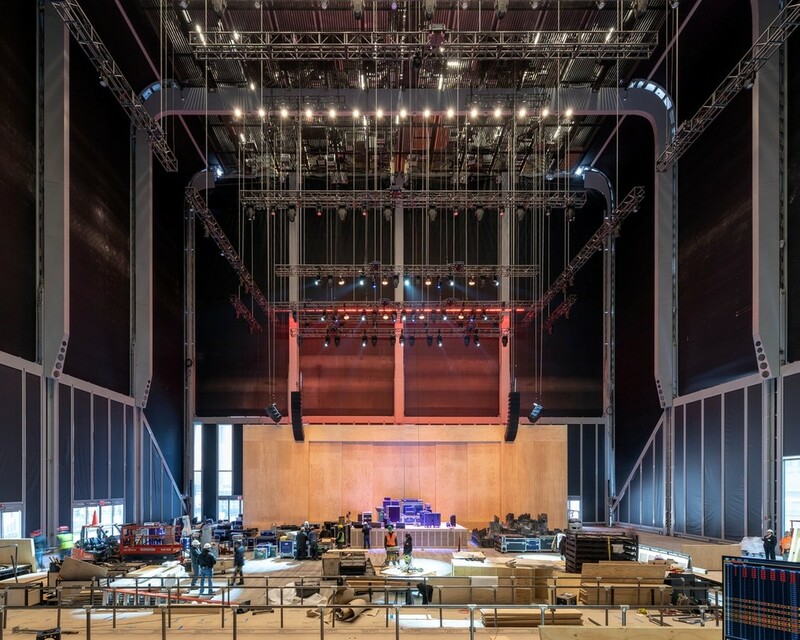 The hall can accommodate an audience of 1 200 seated or 2 700 standing, flexible overlap space in the two adjoining galleries of the base building allows for an expanded audience in the hall of up to 3000. The shell’s entire ceiling operates as an occupiable theatrical deck with rigging and structural capacity throughout. Large operable doors on the Plaza level allow for engagement with the public areas to the east and north when open. When the Shed’s shell is nested over the base building, the 1800 square metre plaza will open public space that can be used for outdoor programming; the eastern facade can serve as a backdrop for projection with lighting and sound support. The Plaza is equipped with distributed power supply for outdoor functions. The Shed takes inspiration, architecturally, from the Fun Palace, the influential but unrealized building-machine conceived by British architect Cedric Price and theatre director Joan Littlewood in the 1960s. Like its precursor, The Shed’s open infrastructure can be permanently flexible for an unknowable future and responsive to variability in scale, media, technology, and the evolving needs of artists. Visit theshed.org for tickets for The Shed’s opening season, featuring performances by Björk, Ben Whishaw, Renee Fleming, Sia and Arca.